52-year-old British author Neil Gaiman has spoken out against ‘snobbish’ adult judgements being placed upon children’s literature. The author, who delivered the second annual Reading Agency lecture in central London this week, chose to use this time, at least in part, to speak out against what he feels is a damaging trend in modern literary criticism. “I don’t think there is such a thing as a bad book for children,” began the author, addressing a crowd that included many leading figures from the arts and entertainment world, as well asseveral representatives from educational institutions. “I’ve seen it happen over and over; Enid Blyton was declared a bad author, so was (‘Goosebumps’ author) RL Stine, so were dozens of others. Comics have been decried as fostering illiteracy”. “It’s tosh, it’s snobbery and it’s foolishness”, he continued. Mr Gaiman, who’s works include children’s books (Odd & The Frost Giants), comic books (Sandman, 1602) and prize winning novels (The Graveyard Book, Coraline, American Gods), has seen his works adapted into popular films (Stardust, Coraline), and has written for several TV shows (Babylon 5, Dr. Who, Neverwhere). He is generally considered to be one of the most prolific and celebrated authors of his generation, so it is likely that his criticisms will carry some weight. Gaiman continued, saying that, “There are no bad authors for children, that children like and want to read and seek out, because every child is different. They can find the stories they need to, and they bring themselves to stories”. “A hackneyed, worn-out idea isn’t hackneyed and worn out to them. This is the first time the child has encountered it. Do not discourage children from reading because you feel they are reading the wrong thing. Fiction you do not like is the gateway drug to other books you may prefer. And not everyone has the same taste as you. Gaiman’s own book, ‘Neverwhere’ was recently removed from a High School reading list in New Mexico after a parent complained that it was inappropriate. Mr. Gaiman’s concerns were echoed by a number of the lecture’s attendees. Amnesty International has announced the creation of a program that can detect the types of spying software frequently employed by governments to monitor activists and dissidents. The Human rights organization, which partnered with three like-minded groups to develop the program, declared that the new system was very much needed, as standard anti-virus programs frequently miss spying software. According to Amnesty, many governments employ such spying software to monitor their targets. Some of these programs can hijack webcams, or even listen in to conversation via compromised microphones. The spying programs leave little trace of themselves on the computer and, as a result, are notoriously difficult to uncover. This new program, named ‘Detekt’, is capable of spotting even remote traces of such harmful software and warning the computer’s owner about it. Developed by four separate Human rights groups, Amnesty, The Electronic Frontier Foundation, Privacy International and Digitale Gesellschaft, Detekt is available completely free of charge. According to Tanya O’Carroll, who works as a technology adviser at Amnesty, spying software has been discovered on the computers of activists in Tibet, Germany, Bahrain, Syria, Ethiopia, North Korea and Vietnam, amongst others. In fact, the world’s governments spend an estimated £3bn a year on spyware products. In a worrying trend, such software is becoming increasingly popular with democratically elected governments, “Its easier to name the countries that are not using these spying tools than those that are” O’Carroll told BBC News. Spread via email attachments, hacked websites, sites designed to distribute malware, or even false internal messaging software, unwanted spyware is a major challenge facing every Internet user today. According to Detekt’s makers, the major difference between general malware and government spyware is that illegal software is generally aimed at proliferating itself, whereas government spyware is principally interested in hiding itself and quietly gathering sensitive information. Amnesty International is presently looking for help to keep the program current, and also to expand it. Putting on a radio earpiece is not a tough job. To puton an earpiece, first of all you need to take that earpiece and microphone clip in your hand. The microphone is to be put where you are most comfortable with it. It can be put on your hands, specifically on your wrist. You must have seen Spies or Secret Service agents in movies lifting their wrists talk. This is where they are speaking into the mouthpiece on their wrists. With December in full swing and ‘the big day’ now less than a week away, you’ll be heartened to know that a) today’s tech-savvy, smartphone wielding children still write letters to Father Christmas in the traditional manner b) that real people actually read them and c) that the children can expect a genuine reply to their letters. The sorting office, which deals exclusively with children’s letters to Santa, is located in Belfast and is listed on the official Royal Mail address finder as being staffed by 10,000 elves, 1,000 reindeer and about 100 snowmen. The areas industry is listed as including “sleigh pulling, toy making and list checking (twice)”. The letters usually have to be examined by hand, as the Royal Mail sorting machines struggle with kid handwriting, coloured craft paper and glitter. In addition, occasional parcels of food (for Santa and Rudolph, you understand), can (and frequently do), crash the system. Perhaps the nicest part of this particular story, however, is just what the kids are asking for. In addition to predicable demands for iPads, new bikes and Disney memorabilia, many British children are apparently very selfless in nature. A small boy named Noah, for example, sent Santa a drawing for his troubles, before asking for new work shoes for his mother and some Lego for his brother, his own request (a DVD player) was listed last of all. Many kids also ask for presents for their pets or their teddy bears and even more request something nice for their brothers and sisters as well as themselves. So, the next time you find yourself suffering a bout of the ‘holiday blues’, fretting over January’s credit card bill or getting exasperated by just how busy December can be, take a deep breath and think about that little sorting office in Belfast, a place where the magic of Christmas is still very much in evidence. Think on that and smile. Thank you for reading, have a wonderful Christmas and a Happy New Year! What’s your favorite feature of this earpiece? Personally, I like the design job – It is cooler than an Inuit’s underpants! Awhile back, I reviewed the Bean Quiet Sound Amplifier from Etymotic. The Beans are basically hearing aids that amplify sounds so you can hear better. The difference with the Beans is that you don’t need to consult a doctor. Etymotic is all about helping people hear better and keep their hearing, so when it offered its Music Pro Earplugs ($299 at etymotic.com), I wanted to try them out. The Music Pros are the opposite of the Beans. They help your hearing by reducing loud sounds while letting you hear normal volumes. How does that work? Good question. The Music Pros look exactly like the Beans. They’re self-contained, use tiny hearing-aid batteries and fit inside your ear. If you fit them correctly, they don’t show unless you turn your head. The Music Pros have tiny microphones that listen to what you are hearing and process the sound before it gets to your ears. Each earpiece runs on a tiny No. 10 battery that will last a few weeks if you turn the earplugs off when not in use. 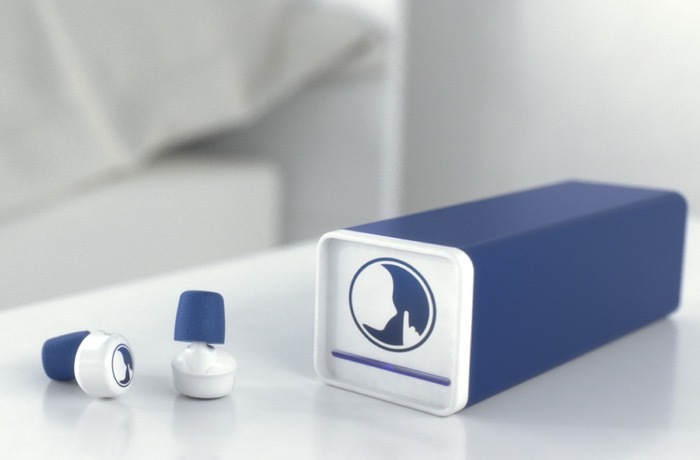 There is no power switch — you turn the earplugs off by unsnapping the battery doors and removing the batteries. It’s easier than it sounds. There are two modes, and you change modes with a tiny switch on each earpiece. In 9dB mode, quiet sounds are amplified by 6dB, while 9dB protection is used when the outside noise gets louder. In 15dB mode, natural sounds come though at their normal levels, but the Music Pros provide 15dB of protection when noise exceeds safe levels. The Music Pros come with seven different types of tips to accommodate different ear canal shapes. I was easily able to find one that worked well (I like the spongy ones), and they’re easy to change out. I didn’t see any live music during my testing week, but I did simulate the concert experience with over-the-ear headphones cranked up really loud. The Music Pros did what they said they’d do — they let me hear sounds at a normal volume and definitely kept really loud sounds from getting to my ears. They’re magical, but for $299 for the pair, I’d expected them to impress. I’m not entirely sure what the target market is for these — people who work regularly at concert venues, maybe, or people in construction jobs. I suppose if you wear earplugs as part of your daily life, you’d want to take a look at these. Bottom line: If I had a job in which my hearing were stressed regularly, I’d probably invest in these. I’ve been listening to Etymotic earphones for at least a decade. Its MC3 headset + earphones is a worthy member of a great line of audio products. The MC3 ($79 at etymotic.com) has a lot going for it, but most important it’s comfortable and sounds really good. Etymotic includes four types of tips, so chances are good that you’ll find one that fits your ears. Whenever I get a new pair of earphones to try out, I like to see which tips will fit best without any music playing. I just sit and think about how they feel inside my ears for a few minutes. The MC3s offer great noise isolation if you get the right fit. And they’re not heavy on the bass, which I like. The three-button remote also worked well with my iPhone, both for clear calls and controlling music playback and volume. Etymotic has a custom-fit earmold option that lets users get molds made of their ears at an audiologist’s for a custom set of earpieces. Prices vary depending on the audiologist, but Etymotic has a list of audiologists it works with, and according to some online who’ve reviewed the process, the cost is around $100, which is a bargain and worth checking out. Overall I like MC3s. They’re inexpensive, have a good sound for my ear, fit comfortably and have a microphone so I can use them with my phone. Pros: Inexpensive, options for a custom fit, nice highs and midtones. Very clear and comfortable. Cons: Not heavy on bass notes. Bottom line: A solid choice if you’re not all about the bass. Wow. The new Two way Radio is out of this world. I mean it is just so gorgeous and so highly developed. I pity individuals who grew up without the Radio. The City of Edmond faces a decision about whether to replace or upgrade public safety radio infrastructure to the tune of about $6 million, said Matt Stillwell, director of Public Safety Communications and Emergency Management. Edmond purchased a 7-channel Motorola MHz SmartNet radio system in 1998. Seven years ago, the system interfaced with a different Motorola system operated by the state, Stillwell said. Changes in technology, governance and an aging infrastructure will inform what system changes the city should choose within seven years, Stillwell said. The city maintains ownership of its seven channels and the state added 10 more channels to local sites, Stillwell said. All local governments use this system, but not everybody has paid for its maintenance. Only six municipalities help pay for the system. “The citizens of Edmond are paying for a system of any (yearly) infrastructure maintenance, while other users of the same sites are not,” Stillwell said. The City of Edmond joined the state’s system in 2007. A lot of other communities join the system through grant dollars, he said. The upgrade was paid for by state dollars and cost the city nothing, he said. Questions are unanswered as to how many radios for police, fire and emergency management would be impacted by a new system, Stillwell told The Edmond Sun. The P-25 is a radio standard that all of the public safety radio vendors use, Stillwell added. A funding source to pay for these infrastructure improvements is in the first phases of discussion, said Larry Stevens, city manager. There are concerns that the 2000 Capital Improvement 3/4-cent sales tax will not provide adequate funding for major capital projects, Stevens said. The city welcomes public input by Edmond residents and future recommendations by the Capital Projects and Financing Task Force, Stevens added. Either Edmond will partner with the state to upgrade with the latest digital technology, or pursue an independent digital upgrade without the cushion of state funding, Stillwell explained.